If you’ve been around here much you probably have noticed that I’ve been into black and white geometrics lately. (Did you see my kid’s new table, by the way?) So, anyway, I decided to see how I could interpret the trend in crochet. 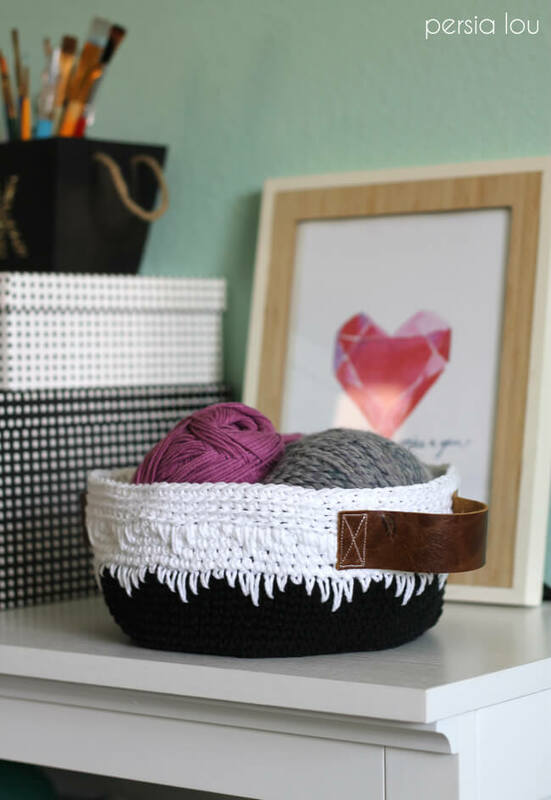 I ended up with this little basket that is a perfect addition to my craft area, which I am currently working on organizing and sprucing up. 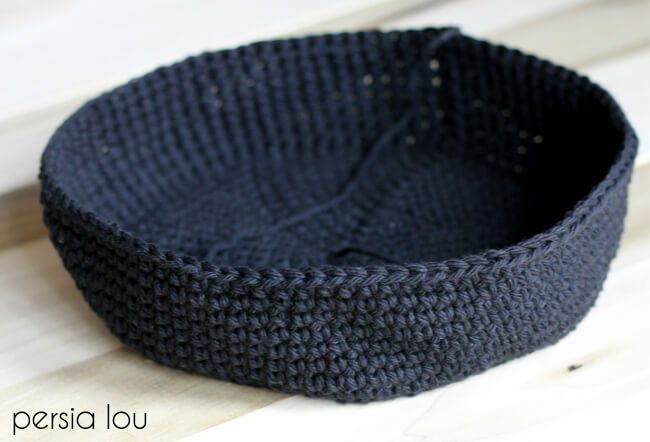 This basket has lots of fun texture, so while it may look complex, it really only uses variations of the single crochet. Simple! 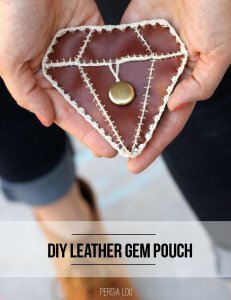 You can totally make this. Round 1: 7 sc in magic ring, sl st to join. Rounds 15-21: ch 1, sc in each st around, sl st to join (91 sc). Finish off, weave in ends. 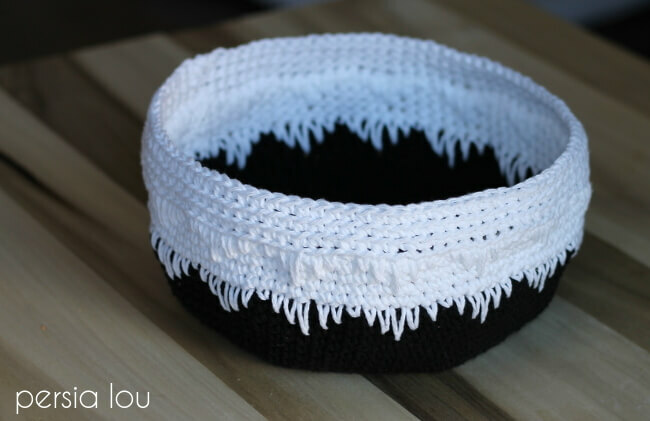 Now it’s time to join the white yarn and start adding the geometric pattern and texture. To create the zig-zag pattern, the next row of sc is worked into the previous rows. Below I have pictured how to work a sc into the stitch two rows below the current working row. 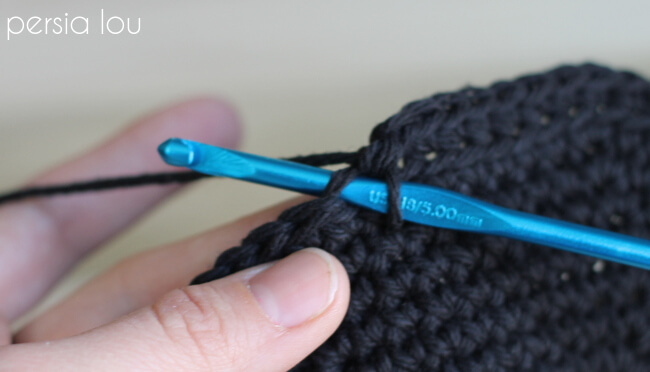 When you work the stitch, be sure to pull the yarn up to the top of the piece so it doesn’t pull or bunch. Round 21: with the white yarn, ch 1,* sc, sc in next st 1 row down, sc in next st 2 rows down, sc in next st 3 rows down, sc in next st 2 rows down, sc in next st 1 row down, repeat from * 15 times, sc in next st, sl st to join (91 sc). Rounds 22- 25: ch 1, sc in each st around, sl st to join (91 sc). 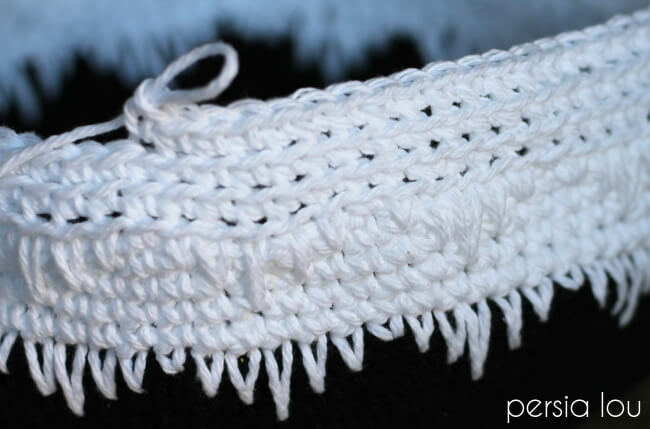 The next round repeats the zig-zag pattern from Round 21 in white yarn to add more texture. Round 26: ch 1,* sc, sc in next st 1 row down, sc in next st 2 rows down, sc in next st 3 rows down, sc in next st 2 rows down, sc in next st 1 row down, repeat from * 15 times, sc in next st, sl st to join (91 sc). The final 3 rounds are worked in the back loops only to create a striped texture. Round 27: working in back loops only, ch 1, sc in each st around, sl st to join (91 sc). Finish off, weave in ends. At this point the basket could be complete, but I decided to add a couple of leather handles to finish off the modern look. 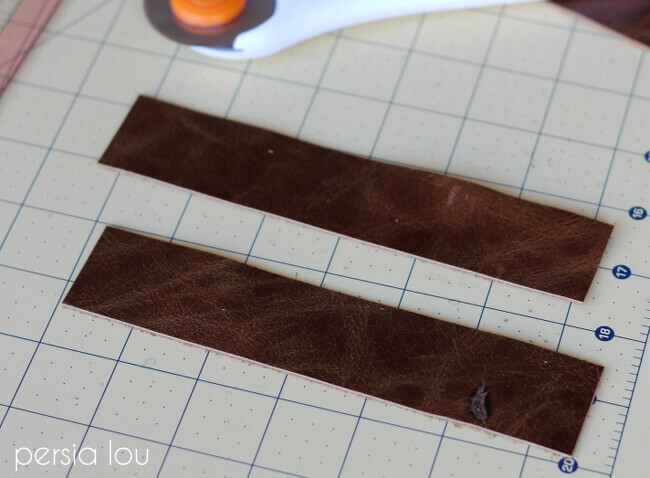 To make the handles, you will need to cut two pieces of leather to 1 1/4″ x 6 1/2″. 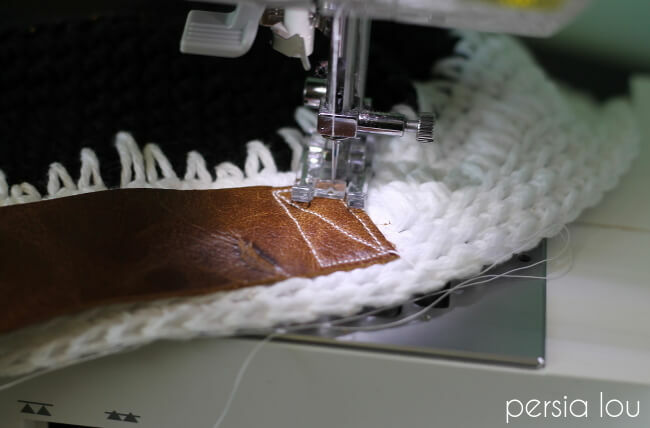 Finally, sew the handles onto your basket by first sewing a rectangle and then an X through the middle of the rectangle with a heavy duty needle and sewing machine. And that’s it! 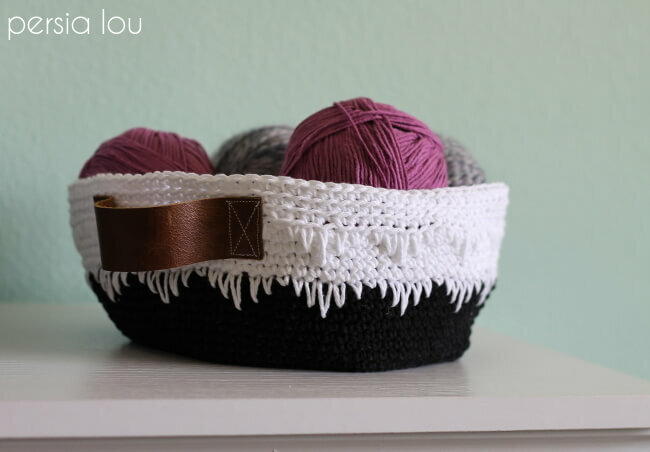 My new little basket is holding some of my favorite yarns. Seeing them displayed in my craft space gets me inspired to get making. 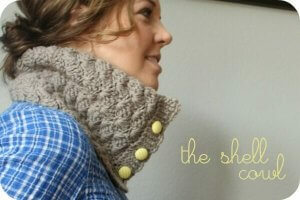 This post originally appeared on Craftaholics Anonymous. Linking up at some of my favorite parties. Girl! 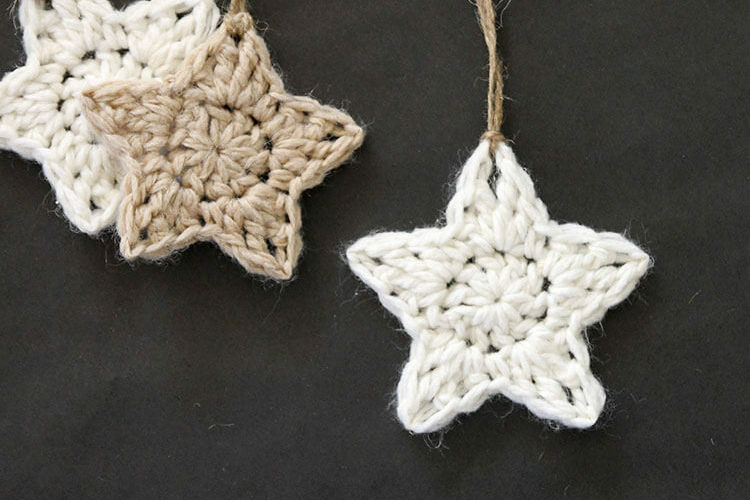 I totally cannot make this. Crochet is a skill i have not. You could legit sell these. So all the crochet impaired like myself can still have one. They&#39;re so cool! Oh this is soooo cool! I love it! 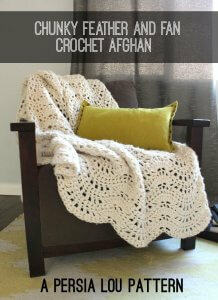 I have not crocheted in years but I think I will have to make a go at this. Yours is so beautiful! Love it! And you are very detailed with your tutorial. Pinning it to make it later!! This is so stinkin cute! LOve the colors and the pattern, amazing!! I am a big fan of the spike stitch for colour patterns. This is the first time I have seen spike stitch used to add texture. 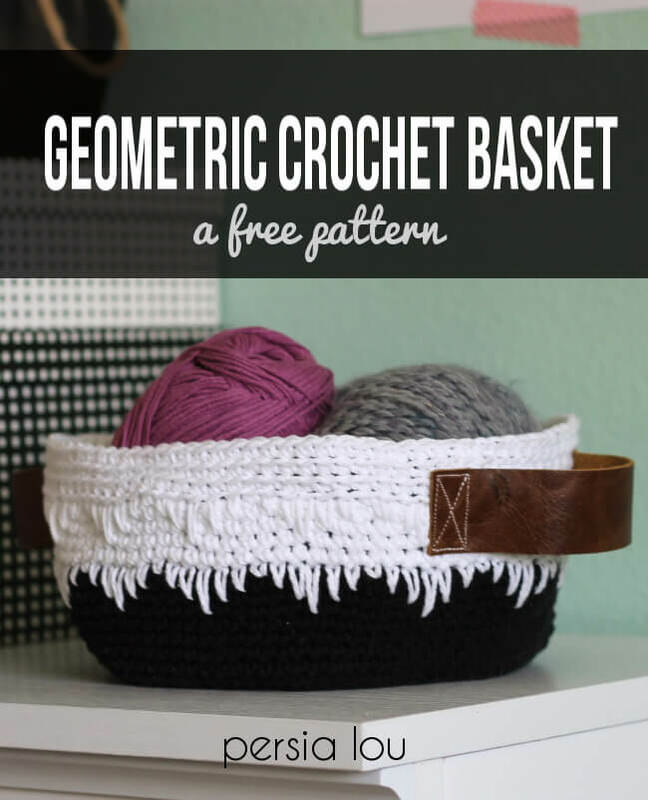 A nice spin on the technique which adds a lot of interest to your basic basket. Wow Alexis! 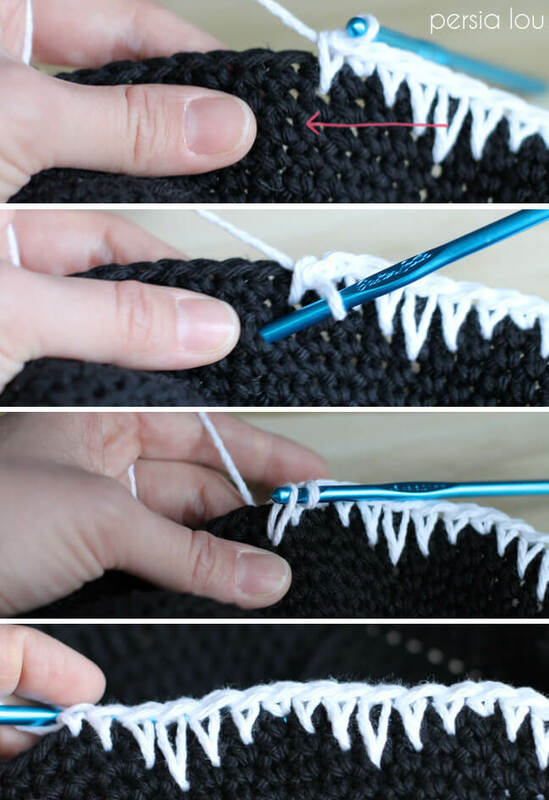 I had never heard of the spike stitch before, but this is awesome! Love the colors and the adorable handles. I love this basket. I am going to make some for my daughter&#39;s teachers as gifts. Would you mind if I made some to sell? Hi! Yes, you are welcome to sell any baskets you have made from my pattern. 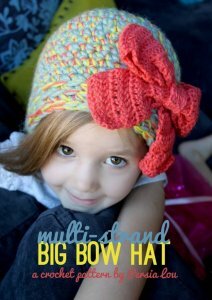 If you sell them online, I would appreciate a link back to the pattern. Thanks! Thank you for sharing this – it is so cute and doesn&#39;t look to difficult! You know, this post terribly got Maine thinking…that’s why i created a call to reply in Associate in Nursing extremely post.. I conjointly need to share info concerning. <a href="http://tipsongift.com/basket/&quot; rel="nofollow"><br />Basket<br /></a>. Love the basket. Instead of leather handles I added a row of reverse sc to the top for more texture . What a gorgeous basket? 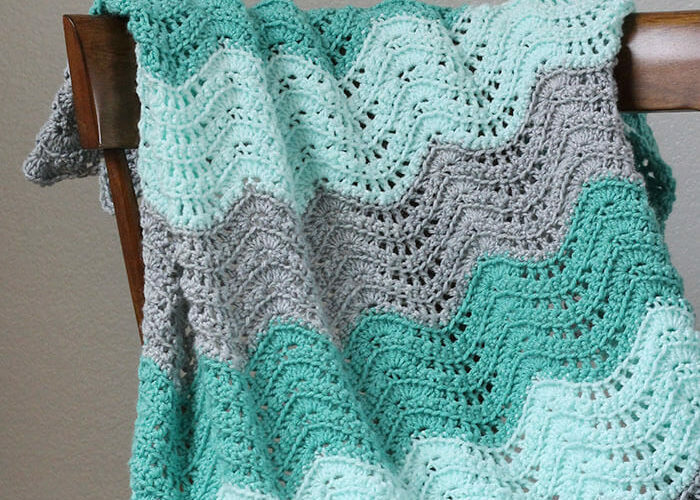 Would you mind adding this pattern on Ravelry so that I can favorite it?